A home is not just a place where you live, it is a place to be loved, filled with joy and everlasting loving memories, it always speaks about your identity. Decorating your most loved space lifts your mood immediately. Planning decors with warm colors and soft lighting enhances family bonding. Concentrating on wall decors, arts and murals is equally important like other decorative features in home decor. These wallpaper art ideas are keys to spread happiness all the time at home. Wall papers and stickers liven up dull finished doors. These bright combination of colors, texture and the finish is really impossible with paint. This vinyl coated wall papers are least expensive and durable for your entryway which is exposed to all climatic conditions. 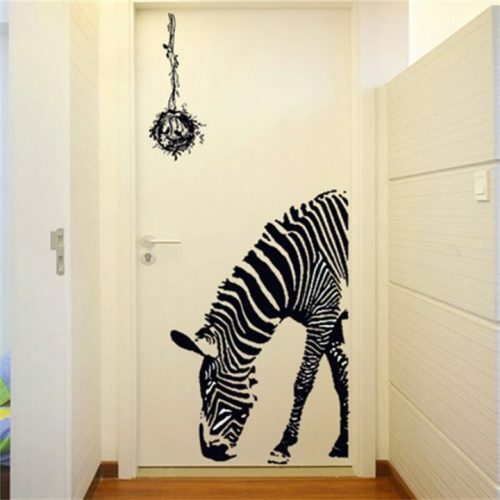 The easy paste plus size zebra is the popular style among modern door decors. Wall paper and wall arts on your living room walls add an instant personal style and look to the room. It can disguise a walls imperfections and give an eye-catching result. You can even choose wall papers to brighten up your normal boring ceiling. Turn your simple living room into something special with a little wallpaper and sit back in style. Fabulous wall stickers will undoubtedly inspire everyone. This dinning wallpaper is a feast for your eyes too. Let the room be formal or fun filled, these surprising chinoiserie traditional wall paper creates an astonishing effect to the room. The print color ink is eco-friendly which uses vegetable based ingredients containing no solvents, avoiding the chemical smell and giving a healthy near to nature atmosphere. Patterned wall paper on stair risers is an amazing idea. 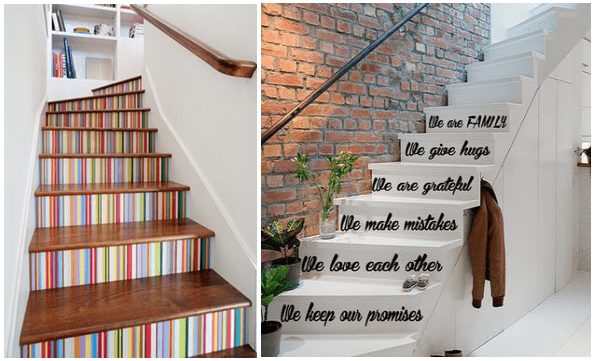 Can be designed with printed love quotes if your stairs reach your bedroom, book designs, stencil cut designs, rainbow patterns give a peek pretty look to the stairs. Floral wallpapering is the best way to bring botanical vintage pattern to a plain staircase. Enjoy every step of your walk up the stairs with these beautiful paper pattern ides. The perfect place to create a world full of luxury and comfort. The best color to feel refreshed always is blue, better choose blue walls for summer. Shades of blue combined with black and white is trendy and gives a glamorous touch. These amazing shades in your bedroom makes you get lost in love always. Wallpaper for kitchen is a beautiful idea which adds splash of color to the wall. Make your dream kitchen look and feel warm, bright, fresh, modern, sweet and charming with the right wallpaper selection that will make the room splendid. 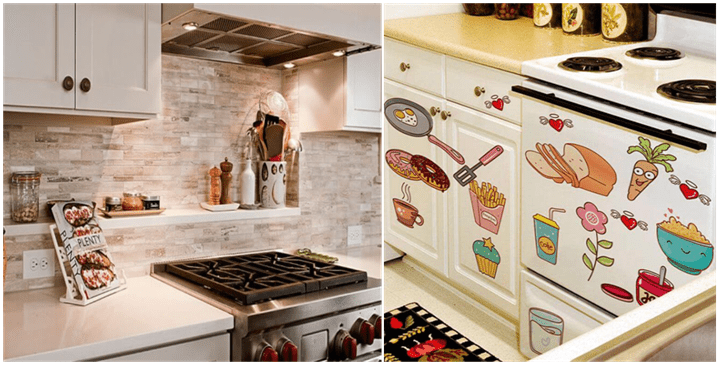 Mixing up of contrast designs goes well for kitchen walls, pasting stickers in kitchen units, fridge, dishwasher adds charm to your little cooking space. Experiment the wall with bright colors and large prints creating a strikingly attractive bathroom. 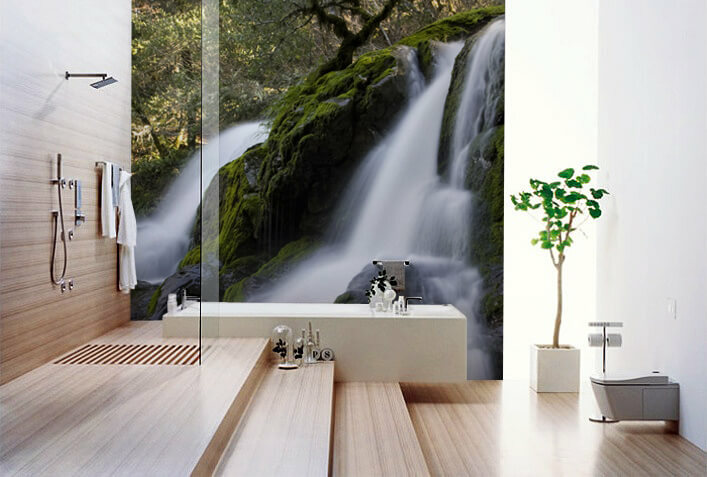 Choose water based background ideas to feel special and close to nature and enjoy your bath experience every time. High tolerant plastic coated wall papers are best and durable for bathrooms. Liven up your dull, plain walls with these beautiful wallpaper ideas. Give a colorful environment to your family to flourish long-lasting love in life. 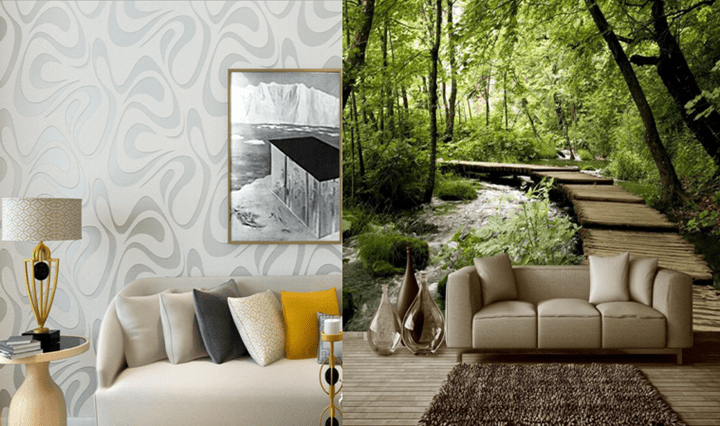 Make your home a wonderland with customized 3D wall murals that adds astonishing beauty to the walls. Let everyone fall in love with the attractive, amazing walls. If you come across any unique wall mural, please send it to us so we can add it to our list. 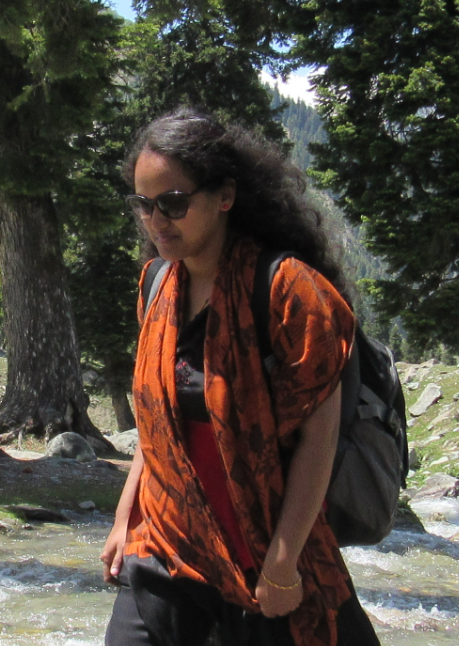 WISHES TO SPREAD LOVE IN EVERY WALL……….